Welcome to All Pawn and Guns - Southern Maryland's premier pawn shop! Hey, if you ever have the need, which in today’s economy, a lot of us are having tough times, this place is the best. They are honest, and considerate. If you’re anything like me, it’s embarrassing to have to go to the pawn shop, but you got to do what you got to do, so this is the place to go. They give you the most money for what you have. All Pawn is a good looking store with good inventory at great prices. The staff is very courteous and professional. I can’t say enough good things about my experiences with All Pawn. What a great place to shop. This is not your parents’ pawnshop. It is cleaner than any pawn shop I have ever been in and the staff is courteous and professional. They pay good money for your stuff and they are a gun dealer and have a nice selection. The jewelry selection is unreal for a pawn shop and the prices are a fraction of what you would pay at a Kay’s etc. 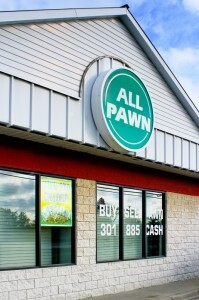 If you want to visit a great pawn shop and probably the best pawn shop in Southern Maryland visit ALL PAWN. Great environment with great guys working there. Very helpful and gave the most money for my gold. Welcome to All Pawn – We’re a community oriented business that makes friendly and helpful customer service our top priority. 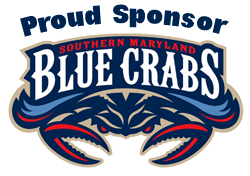 For more than 10 years we have been servicing the Southern Maryland region. We offer something completely different than the traditional stereotypical pawn shop – our store is clean and bright, our prices are great, our staff is very friendly, and we carry a wide range of products from computers and electronics to rifles and handguns. Don’t buy retail – stop in and see what we have to offer! Or visit our online listings. After thirty days you may either repay the loan and finance charge, or pay just the finance charge and extend the loan for an additional thirty days. We will continue to hold the item for as long as you require, provided you continue to pay the finance charge on it. There are no hidden fees, late fees, or other hassles that you will often find in other pawn shops. And not only that, we offer the lowest interest rate in the Southern Maryland region. So, stop in and say hello . . . we guarantee you won’t be disappointed!